At Noble, we believe that a key ingredient to our success is our ability to plan. From our shipyard projects to end of well maintenance planning is essential, and that is particularly true for managing the incredible talent and significant potential of our industry-leading team members. With this in mind, Noble has taken steps to improve its employee performance evaluation process. The process, which went live on June 1, captures performance measurement, feedback, progress, and goal setting, but most importantly, helps ensure success for every team member. The process was designed to be completed both onshore and offshore and will help employees see how their role and expected contributions fit within the bigger picture of the organization. 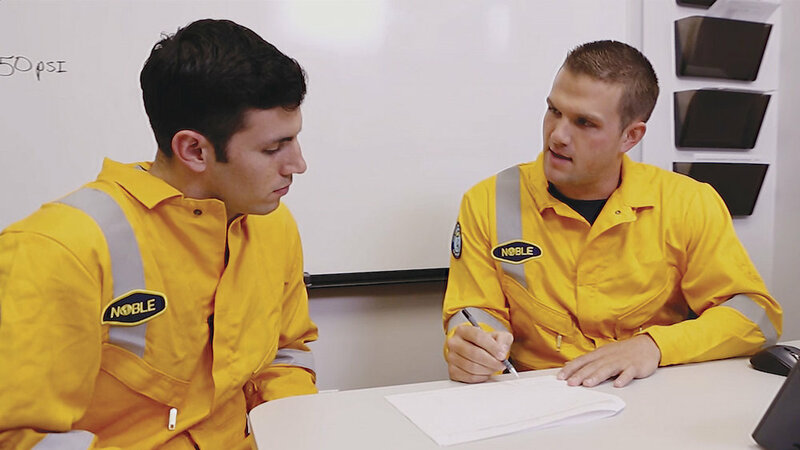 Based on feedback from the most recent Worldwide Rig Management Meetings, as well as a survey of select supervisors and employees on the 2014 performance review process, a number of key improvements were included in the review process for the current year. By providing your e-mail address below, you consent to receiving emails from Noble to inform you when a new story has been added to NobleLink. Your email address will not be shared with anyone or used for any other purpose other than to notify you when a new story has been posted on Noble Link Online. You can unsubscribe from receiving these notifications at any time by clicking the link at the bottom of our emails.